We have a stair space, it appeared while I was at work. 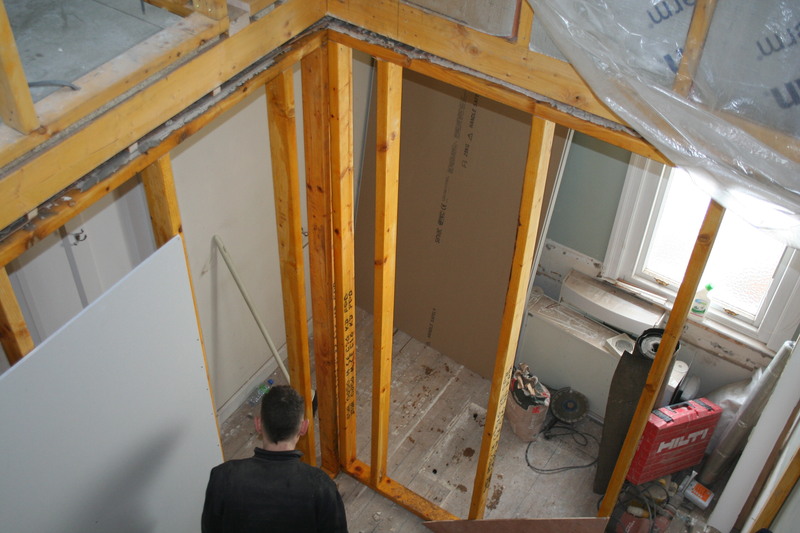 The ensuite as we knew it has gone too and the new one looks a great size and shape. 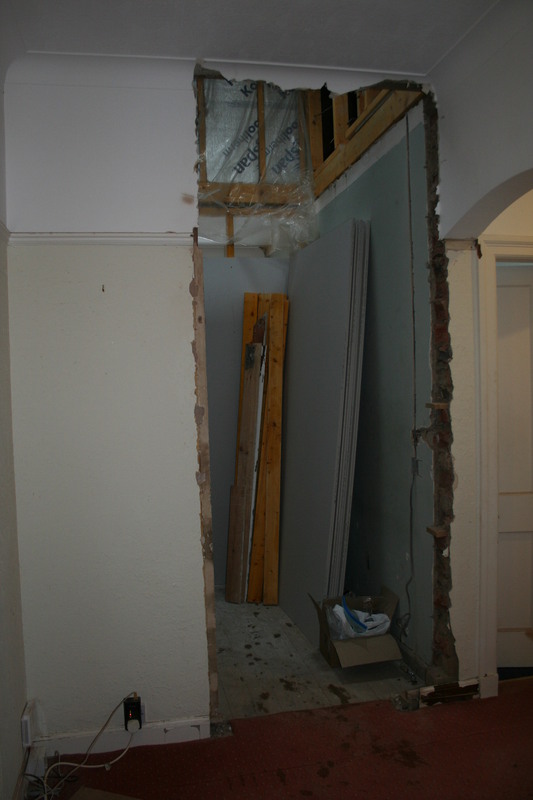 I’m glad I missed the actual demolition of the wall and old entrance to the bathroom, bet it was pretty messy judging by the settling dust. All the mess has gone but we all know that dust takes a while to settle, literally. Can you guess what’s coming tomorrow? Saturday was really wet in the morning. 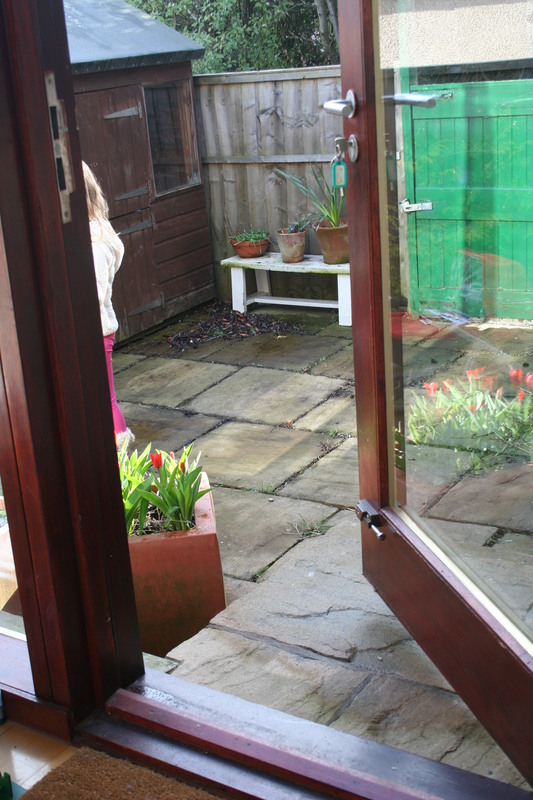 It got better though and by mid afternoon we took the bold step of opening the garden room door which can only mean one thing… spring. 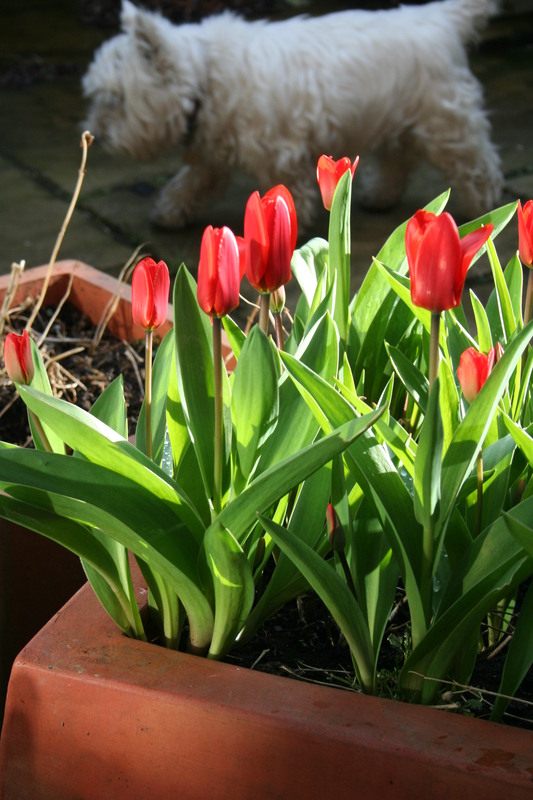 Check out those tulips for evidence of spring. 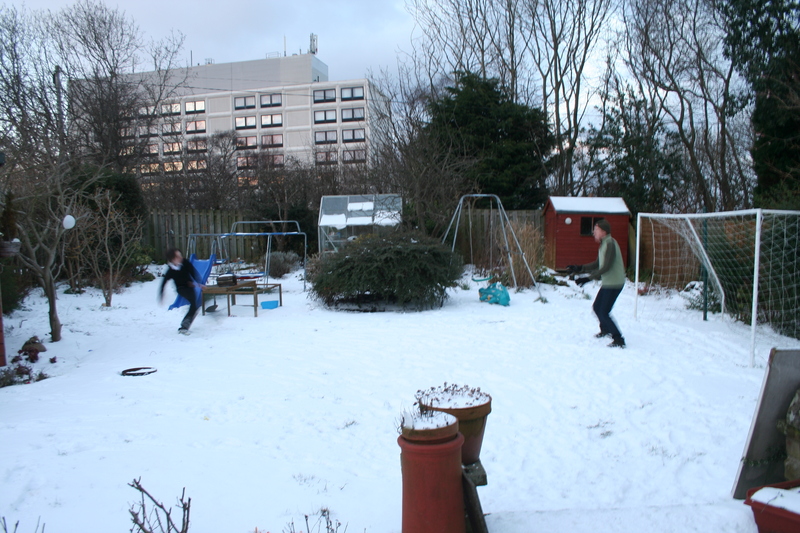 Unfortunately, in true Edinburgh fashion, spring did not last long. It snowed a bit yesterday and lots today so it’s back to this. The garden door is well and truly bolted again til the next sunny day. 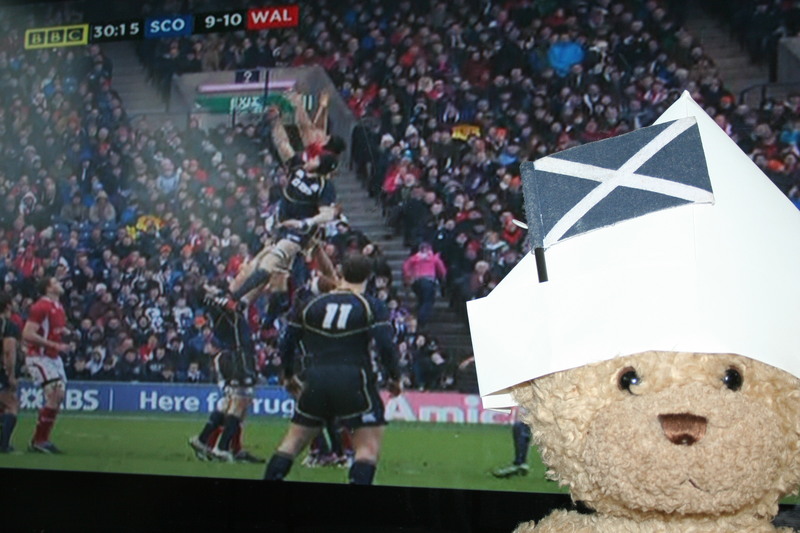 Buddy, the P1A class teddy, had a good weekend, we didn’t match Tom Daley but he did go to the rugby. 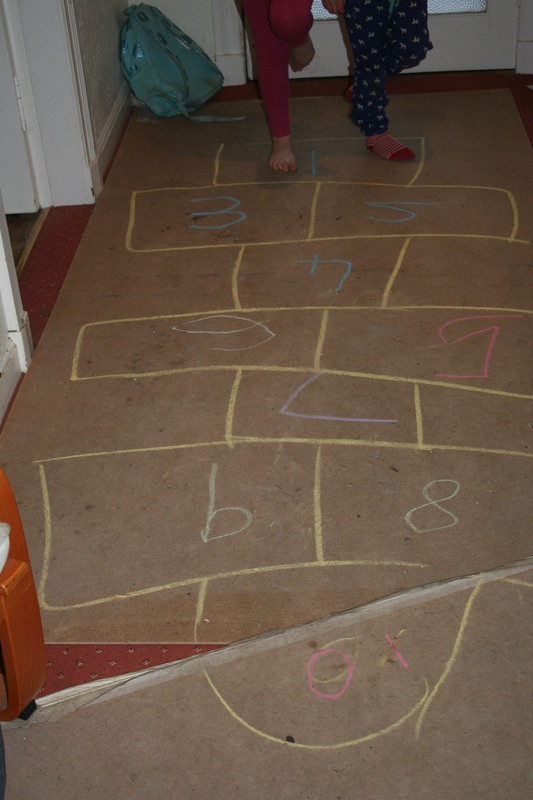 The girls made use of the boardwalk in the hall too with an indoor hopscotch competition. 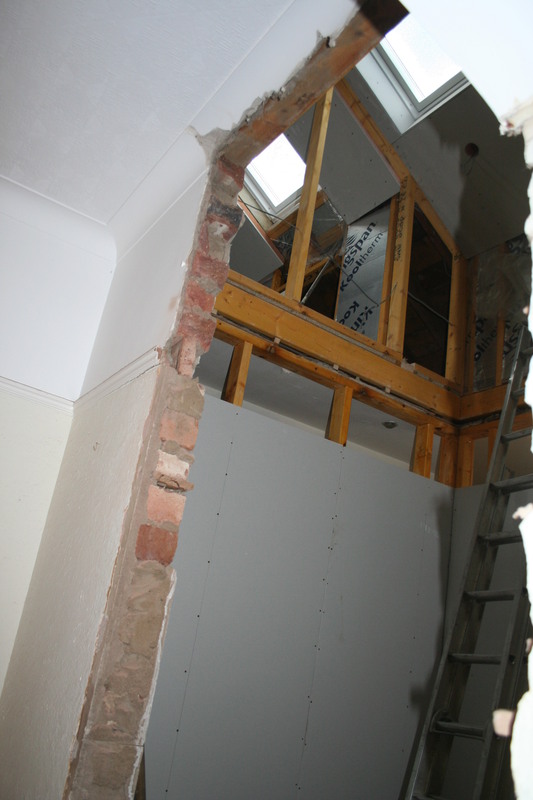 It’s due to be supercold overnight tonight, hot water bottles and beanies at the ready since we have two big holes in the front and back of the house. Lucky we have lots of downies and blankets too, we’ll be fine. I’ll borrow yours, ha ha. Just put another blanket over wee H and one onto my bed too. All good. come on over and have a go!